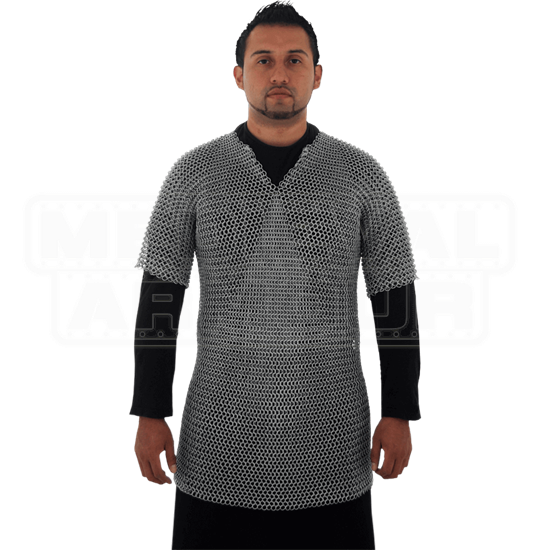 Whether you are looking for fashion or function, the iconic look of a chainmail shirt makes a compelling option. The 55 Inch Soldier Grade Mail Shirt combines comfort and protection with its great design. Butted mail is the most economical construction style of mail, as the cost of labor-intensive riveting is avoided. 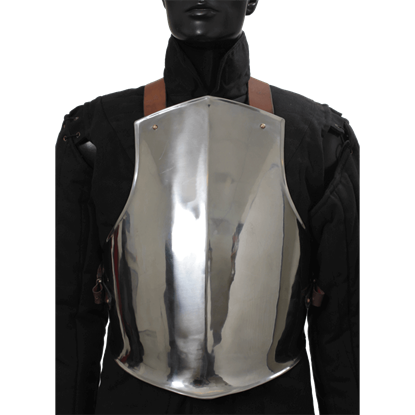 Butted mail has limited historical precedent but is fine for general costuming and role-playing where strict construction authenticity is not a requirement. It is not recommended for weapons-contact re-enactment as mild steel butted rings may be distorted by heavy weapons contact. The rings are formed from round section wire and have a 9.5 mm internal diameter. This item is crafted from 16 gauge mild steel. Construction is in the 4 in 1 pattern. Perfect for the non-contact or light-contact role-player on a budget, this shirt offers a great authentic appearance. 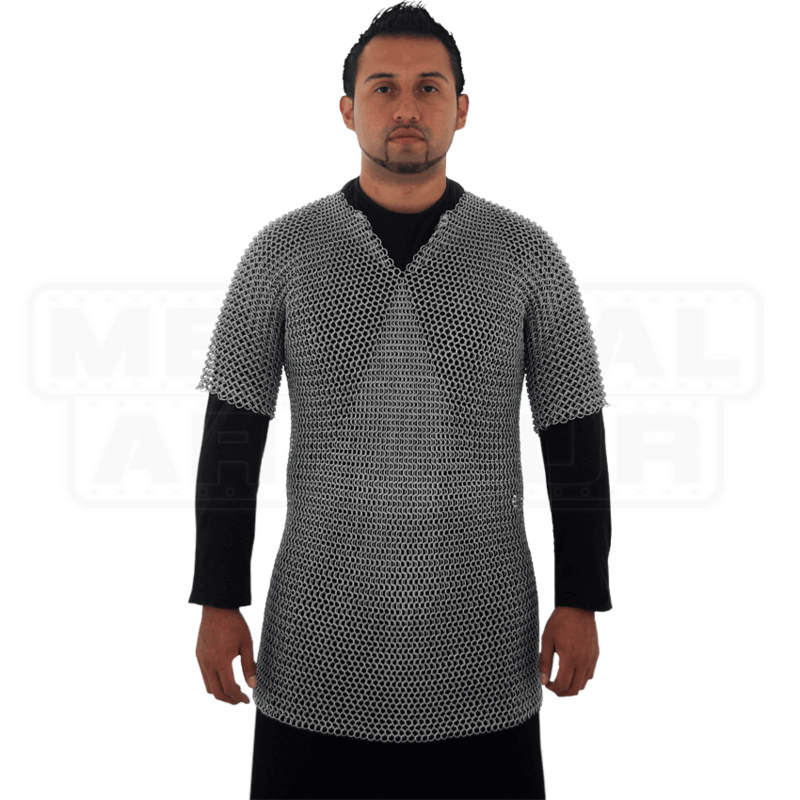 Care Instructions - This chainmail has a zinc-plated finish. No rust-proofing is necessary with zinc-coated finishes, but dry, warm storage is still recommended. The zinc plating is inherently a corrosion inhibitor.